We all love to travel. We all love to use gadgets. We all love to be cool. And combining and talking of cool gadgets of traveling, the hoverboard industry is readily picking up the craze among people especially the young adults. Further, as we discuss the sporty self-balancing scooter or hoverboard, EPIKGO is one leading name in this field, manufacturing and delivering the most rugged and durable of the scooters available in the market. EPIKGO, based in Silicon Valley of United States of America, fulfills its promise of entirely safe travel with its known for durability product range, fitted for traveling in all sorts of road conditions and terrains. Their new machine, EPIKGO Sport Hoverboard, with its all smart features, has defeated all the scooters produced by this company in the past and is remarkably making its name among the lovers of this excellent device. You can easily buy the Sport hoverboard on Amazon for $699.99 with free shipping, saving a whole of $300 from its original price. But first, let us do a detailed review of EPIKGO Sport Self Balance Scooter and see if it’s special enough to be spent almost 700 dollars on or not. What are the functions of EPIKGO Sport? The prime function of the self-balancing scooter is to provide the customer with a self-travelling machine which can be taken to any destination. Consumers also look for power, safety, and fun while buying and riding their hoverboards. EPIKGO Sport makes a hoverboard all the more challenging and fun by offering the riders the option to go off the road and cover the places and distances that other boards can’t due to tough surface conditions. Let’s see the functions of this scooter in a bit detailed way. EPIKGO Sport Hoverboard is specially designed and made in a way that it works in the multi-environment world. 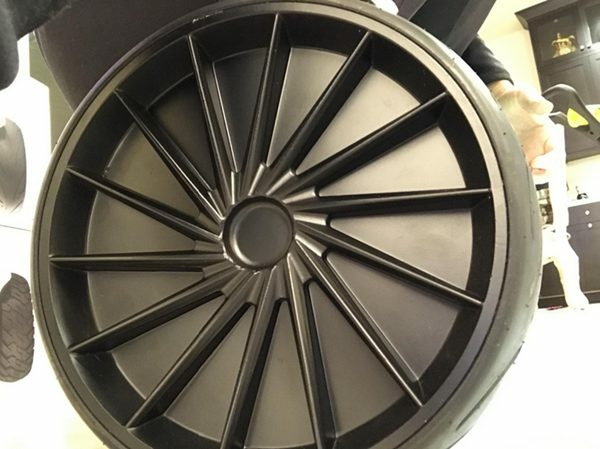 The 8.5” wheels, also with the special feature of alloy wheels, along with powerful motors make it eligible to take its rider through mud, sand, grass, etc. On top of that, this scooter is water resistant which makes it very attractive for riders having to travel through wetlands and off roads in harsh rainy situations. The all-terrain self-balancing scooter gives the rider a comfortable and smooth ride without compromising on the speed. In a single full charge, this board can travel up to 10mph of speed and its 400W dual motors can accomplish slopes up to the steepness of 18 degrees. The large motherboard and streamlined racing tires contribute to it achieving and maintaining the fast speed, and since it’s water resistant, watery lands are not to worry about too, thus ensuring fast and smooth ride. The epic, EPIKGO Sport Self Balance Board, comes with UL 2272 Certification and LG smart battery. It has successfully passed 159 tests of safety from fire and sparking, thus making this hoverboard a safe one. Further, it is nearly two times more powerful and 30% bigger than the other scooters in the market, ensuring a stable and controlled ride since the rider has more foot space to balance it. Fire resistant, waterproof, rugged, and durable, this is one hoverboard safe to travel through dry as well as damp spaces. What are the features of EPIKGO Sport? EPIKGO is known for its aggressive and “out there” looking designs, and the EPIKGO Sport model is nothing but one step ahead in this area. The cool look and robust appearance instantly gives it a +1 point in its favor. Well, the first impression is the last impression. But, let’s not get carried away only by its powerful exteriors and look into its other features as well. This will tell us better if this is the hoverboard to go for or not. UL 2272 Certification is one of the most important factors which we consider while reviewing a hoverboard for it means that the scooter has passed all safety tests. In this case, EPIKGO Sport went through and succeeded in 159 tests, thus making it reliable in the sense that it is free of issues like fire, overheating, sparking, and short-circuiting. 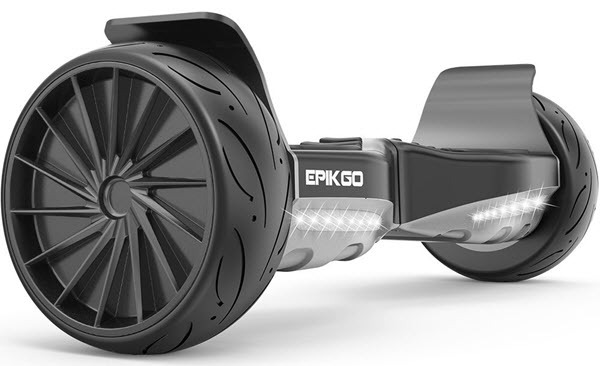 EPIKGO Sport Hoverboard is built for all kinds of surfaces, be it roads or mud or grass and much more. It would have only been a contradiction in its working if it wasn’t water resistant and couldn’t go to wet surfaces. Knowing this, EPIKGO doesn’t disappoint and comes with IP56 Waterproof Certification, thus making this machine go dribbling in the watery lands too. This self-balancing scooter consists of 2271 Certified Smart Battery of reputed LG Company. Also accompanied by UL 2272, there are no fire hazards in this machine. 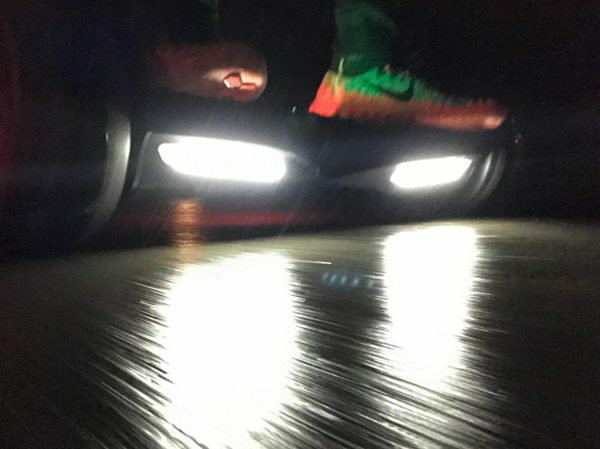 It takes about 2 to 3 hours to get charged fully and can travel continuously for more than an hour at its top speed of 10 mph on a single full charge. There is one special feature available in this scooter regarding the charging system. 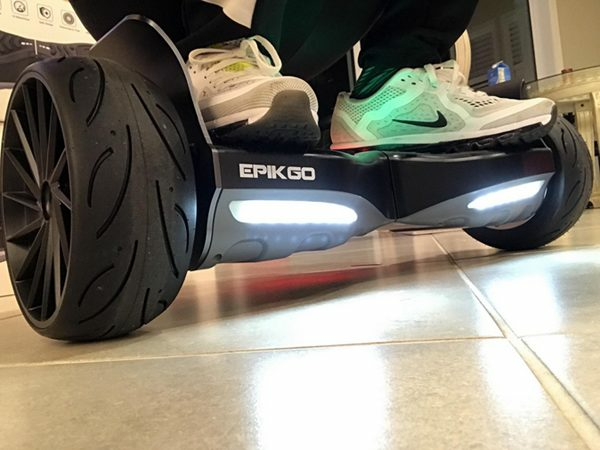 As compared to other hoverboards that don’t have any lights or signals to tell the rider about the battery status of the machine, EPIKGO Sport comes with three points Green colored indicator. If all three points are shown, then it suggests a full charge, and when it comes down to one point, it signals the user to charge it for hassle free riding. EPIKGO Sport self-balance Hoverboard consists of two gyro motors of 400 Watts each, making its power a total of 800 Watts. It is combined with army grade battery, and this whole system is inscribed in the machine having the same technology with which the batteries are put in an electric car. The presence of powerful batteries in the scooter means that it is a sturdy and rugged board and is great to be taken to any surface as the brand promises. The motherboard, as well as the overall size of this machine, is at least 30% bigger than that of the other hoverboards available in the market. The big size ensures that the rider has an incredible experience when it comes to balancing the board. Because of this scooter’s big motherboard, it has broad feet keeping space, which provides great balance even on not so smooth ways and roads. When you have a good balance, you can travel with all the more fun and thrill without worrying about losing the balance, falling, and getting hurt. Thus, its big size further ensures the safety of the consumer and this combination goes perfectly with EPIKGO’s philosophy of all terrain smooth and safe traveling. EPIKGO Sport Scooter has the highlighted feature of incredible tires. The 8.5 inches of rubber tires provide an excellent grip on all kinds of surfaces. Because of its big size and gripping capability, it can overcome the obstacles very easily. 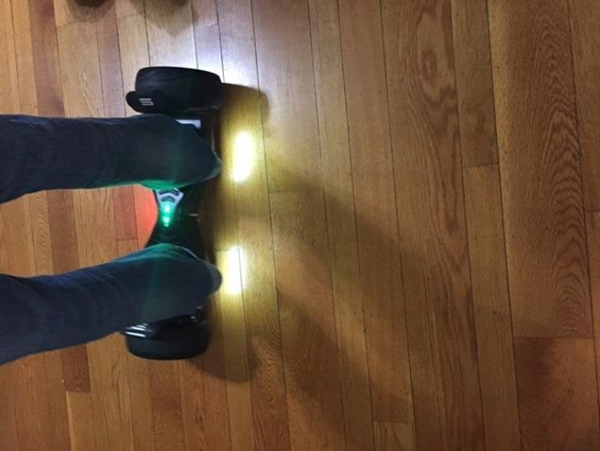 In fact, it can go over steeps of up to 18 degrees, a feature that is rarely seen in hoverboards. It comes with an extra element of alloy wheels. The steel covers prevent the machine to endure the damage due to tough exterior conditions and protect the interiors, unlike the plastic cases which are easily broken. Further, it has a hard ABS casing which is very helpful to resist potential crashes. With so many advantages of the tires, they are of amazing quality too. Thus, the tires are another reason that makes this hoverboard so reliable and durable. This epic Hoverboard has two motors of 400W of power each which makes it 80% faster than the other scooters in the competitive market. It can reach ten mph speed as its top speed which is amazing in this self-traveling machine. Also, it is sturdy enough to maintain its speed in tough road conditions and can travel at steeps too. Thus, for people who enjoy speed, this hoverboard is just the ride to buy. Most of the hoverboards don’t come with this extra feature, maybe to cut production cost or simply thinking of this feature not great enough to attract the consumers. But, EPIKGO Sport comes with no compromises and gives the rider this cool feature, also giving the comfort of lights while traveling at nights on harsh roads. Further compared to the scooters that do provide LED lights, most of them only have them in the front. EPIKGO Sport, on the other hand, has bright LED lights on the front and also has two red lights at the back, which is a great feature as this makes the rider more visible to the others at night. EPIKGO Sport Self Balancing Scooter comes with consumer trust and loyalty because of two main reasons. First, it is a US based company in Silicon Valley, and people automatically tend to trust US based companies and products more than the products of anywhere else. And second, this hoverboard comes with one year of warranty that covers parts of the machine. Not just this hoverboard, but all the machines come with its pros and cons. This scooter has lots of amazing and new features that are sure to attract people to go for it, but it also comes with some negatives that can repulse the consumers from buying it too. Though in the case of EPIKGO Sport, there are more pros to it than its cons. Let’s have a quick look at them. EPIKGO brand has made its name in the hoverboard industry with utmost consumer satisfaction. They focus on manufacturing scooters that can run on all terrains. They give the consumers a comfortable option of possessing a self-travelling machine that not only drives smoothly on the roads but also handles tough surfaces like sand, grass, mud, and even wetlands. EPIKGO Sport, its latest model, continues this tradition of providing beautiful looking and strong functioning hoverboard and has become quite popular among the users. It comes with a great built and does not compromise on its quality, be it the battery, the motherboard, the wheels or its design and looks. Coming with extra features like LED Lights, backlights, battery certification, water resistance, and alloy wheels, this EPIKGO hoverboard can easily make the user forget about its cons like the lack of Bluetooth speakers and not so easy portability. All in all, EPIKGO Sport is an amazing and great hoverboard and with its discounted price on Amazon of $699.99 with free shipping inclusive of a charger, user manual, package box, and a carrier bag. Overall, I would give the EPIKGO Sport Self Balancing Hoverboard with Racing Tires 4.5 out of 5 stars. With all its features that we talked about and its price, it is surely a “go right now and grab it” scooter. Hope the information and the review helped with your decision of confidently buying this one. Don’t forget to put down your comments and tell us your experience of riding on roads and off roads on EPIKGO Sport. Go Go! What is Self Balancing System? The owner of this website, Self Balancing Scooters, is a participant in the Amazon Services LLC Associates Program, an affiliate advertising program designed to provide a means for sites to earn advertising fees by advertising and linking Self Balancing Scooters Review to Amazon properties including, but not limited to, amazon.com, endless.com, myhabit.com, smallparts.com, or amazonwireless.com. © 2019 Copyright Best Self Balancing Scooter. All Rights Reserved.